Marsha Marie wrote so many short memoirs. One of them is 75+ things I learned living 22 years abroad which divides into three parts. The first part consists of lessons she learned from living in Pakistan. Second from the UAE. The last part sums up teachings from living in Asia and the Middle East. In order to escape from an abusive relationship, Marsha moved to Pakistan. She faces a language barrier but soon understood that love knows no language. She accustoms to those things which seem to be impossible for an American. In her journey, she meets different kinds of people, understands different cultures. The author learned to appreciate the awe moments. This book proves to be a fun read for me. First, it is short, and second, all the instances are written in a humorous way. I appreciate the author's writing style. The language is lucid, and few incidents made me laugh so much; especially the Pizza Hut incident. Marsha feels lucky to have been born in America because not everyone gets a chance to live out their dreams and start believing that happiness is a choice. This book is available for free on Amazon. I recommend this short memoir to everyone. There's a lot to be learned when you leave your home country. 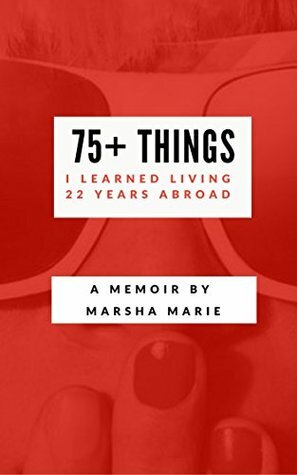 In this mini-memoir, Marsha gives us over 75 lessons that she learned in her 22-year self-exile.